Crowd Interactive is an American web design and development company that happens to work in Colima, Mexico. We develop awesome applications for commerce and social sites using Ruby on Rails. In the future (and the future is now), all important apps will be social apps. It’s not that there will be a million Facebooks, but that the features found on Facebook – tagging, comments, newsfeeds – will appear on millions of sites. If you want the power of the crowd, work with the experts at Crowd Interactive. Screenshot from ModCloth.com website. 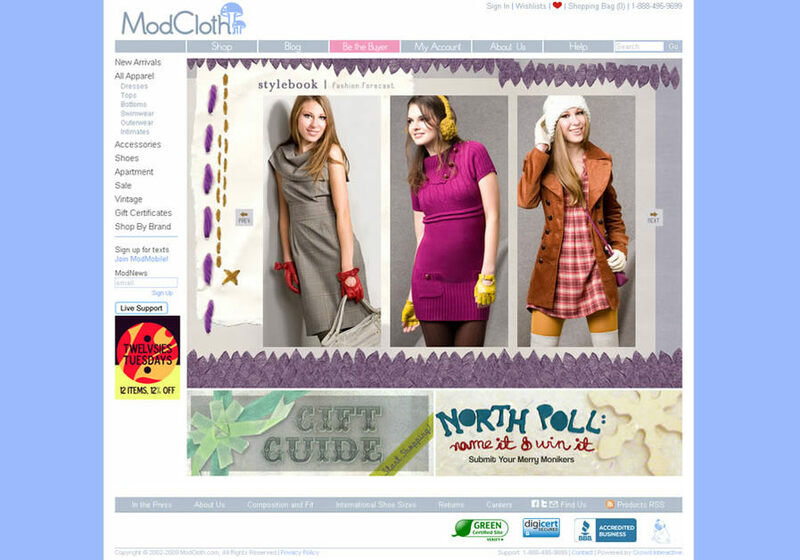 ModCloth is a Web 2.0 fashion retailer that is fashion forward, vintage inspired, and customer driven.